What I love most about writing for this blog is being able to share stories and events like the one I am about to tell you about. I love sharing the strength of empowering women and the reminder that we can do anything we set our mind to. 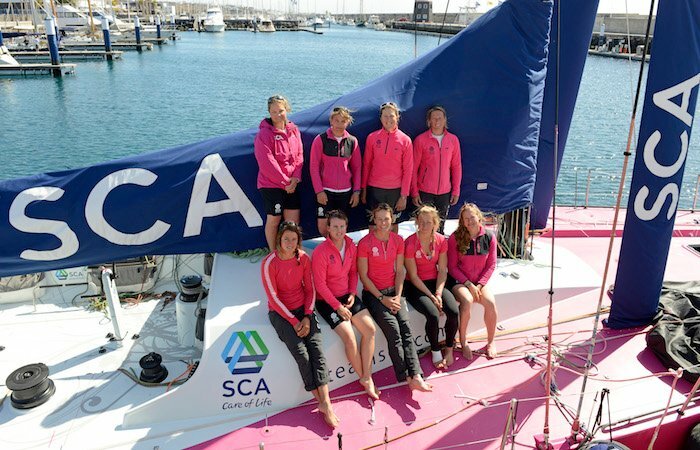 I would love to introduce to you the women of Team SCA who are currently competing in the Volvo Ocean Race. 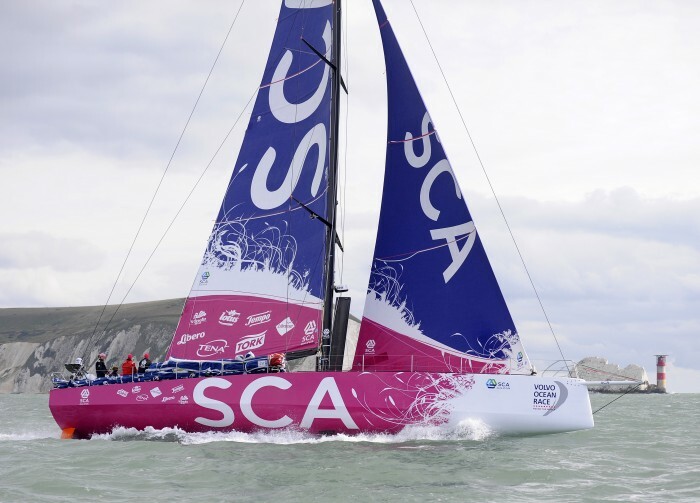 Team SCA is the first all female team in a decade to compete in the Volvo Ocean Race, the world’s toughest sailing race. 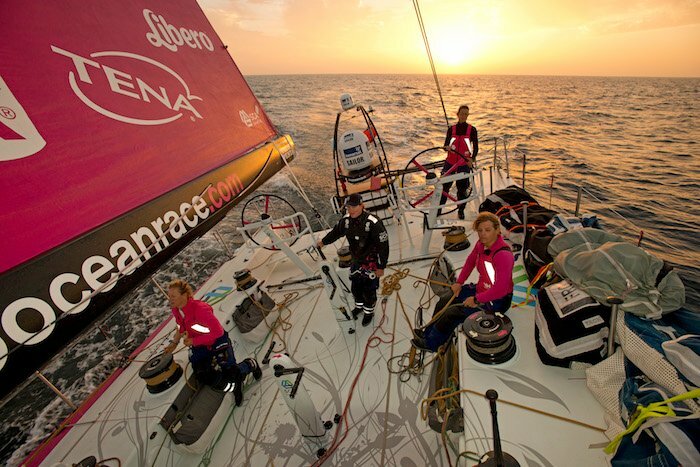 The Volvo Ocean race is an offshore sailing race and is known to be one of the toughest in the world. It lasts for 9 months and covers 39,379 nautical miles which is almost 2 complete laps around the equator. 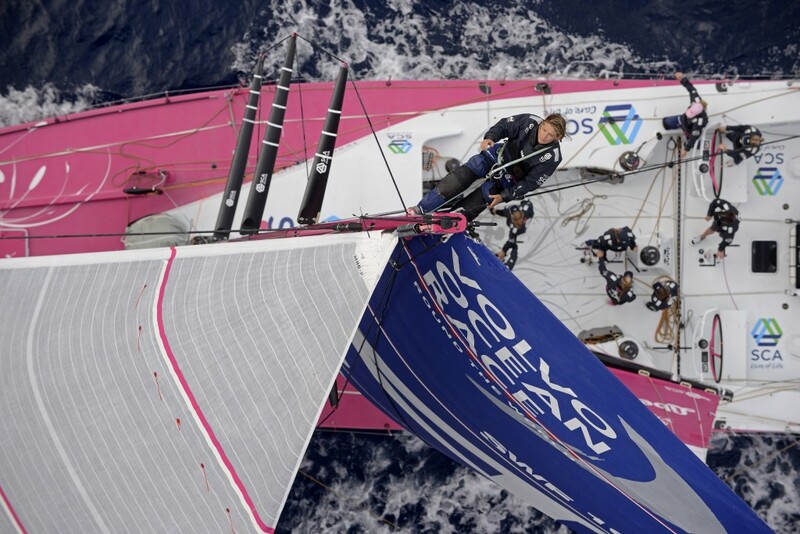 The race is ongoing right now as is started last October in Spain and will touch down in nine countries around the world before it finishes in Gothenburg, Sweden this June. This race will make one stop in North America and arrive in Newport, RI, arriving between May 5-9, 2015. This has to be one of the hardest things these women have had to do and it completely encourages me and motivates me to not be afraid or back off of things I want to do because it may be hard. My thoughts may not be on the same level, but I have been thinking about getting back into running again and doing a 10k. I have been putting it off because I know it is hard work, but I want to feel a sense of empowerment that I am sure these women feel everyday. Right now all teams are in their 6 months of the race and they have been capturing their journey through a blog and social media accounts. You can see all their images at http://teamsca.photodeck.com/. Or follow their journey on Facebook! Wow, that looks really amazing! I have never sailed a boat before, nor am I really on the water much. We do have a small lake near us, but we rarely have the time to go out on it and relax! This is very cool! What a fun sail race! I went on an America’s Cup Yacht in February and toured around San Francisco Bay, it was gorgeous. That would be pretty amazing to attend! I have never been to any boat race or any boat type event. I think it would be pretty nifty! Whoah! These ladies are amazing. This takes sitting pretty on a boat to a whole new level. My mom is the superwoman in my world. These ladies are awesome! I wish I could join sailing race, looks so exciting and a tons of fun. omg how amazing are these ladies!! I just love sailing. Cannot wait for summer so I can do some myself!!! So fun!